The SINGTRONIC KS-912V is second model of our piano-wood series especially designed to match with your home furnishing creating a grand atmosphere. 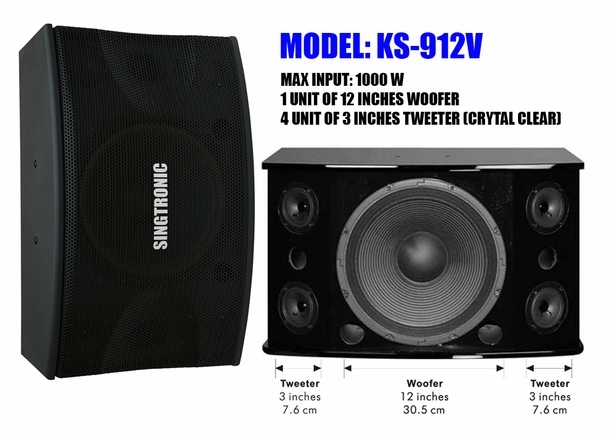 KS-912 is an elegant Karaoke speaker with black MDF (medium density fiberboard) wood gloss layered finish. It has good sound quality and artistic beauty. 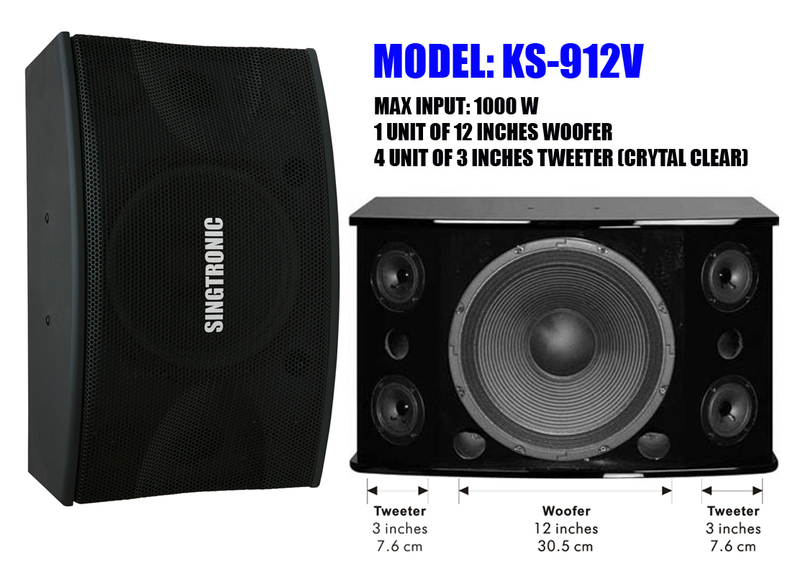 SINGTRONIC KS-912 has high standard in sound definition producing maximum power and range with great stereo and booming bass feature. The new four tweeters for high frequency sounds allow crispy clear vocal unmatched by any karaoke speaker.